(Newser) – Maureen Pacheco suffered from back pain she hoped the fusing of vertebrae in her lower back could fix. 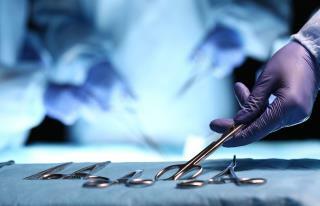 A surgeon instead removed one of her kidneys. Dr. Ramon Vazquez, whom Pacheco met moments before going under the knife at Florida's Wellington Regional Medical Center on April 29, 2016, was supposed to expose the site causing her pain since a car accident the previous year before turning the scalpel over to Pacheco's orthopedic surgeons, the Palm Beach Post reports. Instead, however, Vazquez removed a mass he thought was a cancerous tumor. Had he looked at Pacheco's MRIs, Vazquez would've known it was actually a perfectly good kidney, though one that didn't ascend from the pelvic region to the abdomen during fetal development, according to a lawsuit. Horrified, Pacheco now fears "lifelong kidney transplant or dialysis," per CNN. I don't know WHAT she's upset abt! People can live with only ONE kidney! Otherwise, there'd be no kidney transplants!!! Sure it's a shock, but she can still live a normal life!!! When you're dealing with a doctor or surgeon, you describe the symptoms and they say they will treat you for an undisclosed price and no guarantees for success. You can't get away with that in any other profession...except politician.